Baja Brewing Co. was established in 2007. Photo courtesy Cabo Villas Beach Resort & Spa. For years, two giants have held a virtual duopoly over the beer market in Mexico. Grupo Modelo, which owns Corona, Modelo and Pacifico and was purchased by Anheuser-Busch InBev in June 2013, and Cervecería Cuauhtémoc Moctezuma, which produces brands like Tecate and Dos Equis and is owned by Heineken, controlled about 98 percent of the Mexican market as of 2013. SABMiller, the world’s second-largest beer producer, had another 1 percent of the market. That left 1 percent for everybody else. Now, Baja California, the sunny Mexican peninsula known to many as the home of tourist destinations like Tijuana and Cabo San Lucas, has quietly become the epicenter of a rebellion against the Mexican beer establishment. Modelo and Moctezuma built their duopoly by snapping up beer licenses from the government and reselling them at a discount, along with perks like free refrigerators—as long as vendors only sold their products. The result? At one bar, you could get a Tecate but not a Corona; at another, you could order Modelo but not Dos Equis. It was perhaps inevitable that some would be unhappy with this situation—namely, the beer giant that felt it was being left out in the cold. In 2010, SABMiller filed a complaint that led Mexico’s Federal Competition Commission to announce a decision in July 2013 that dealt a blow to the duopoly system. Modelo and Moctezuma can no longer legally restrict the sale of Mexican craft beers. Exclusive contracts must be transparent, with a written end date, and the two giants can only sign exclusivity contracts with 25 percent of their retail outlets. That number must be reduced to 20 percent by 2018. Jordan Gardenhire, a Colorado native, along with his father, Charlie Gardenhire, and friend Rob Kelly, started Baja Brewing Co. in 2007 as a response to the limited beer offerings in Mexico. Jordan had no plan to open a brewery when he moved to Cabo San Lucas, but it wasn’t long before he began to miss the ales he’d grown accustomed to drinking back in Boulder. Getting the brewery started was an adventure. Brewing equipment was not readily available in Mexico, so Gardenhire and his partners had everything shipped from Laguna Beach, CA, on a flatbed truck—a journey of over 1,100 miles. Then they had to navigate the Mexican bureaucracy. 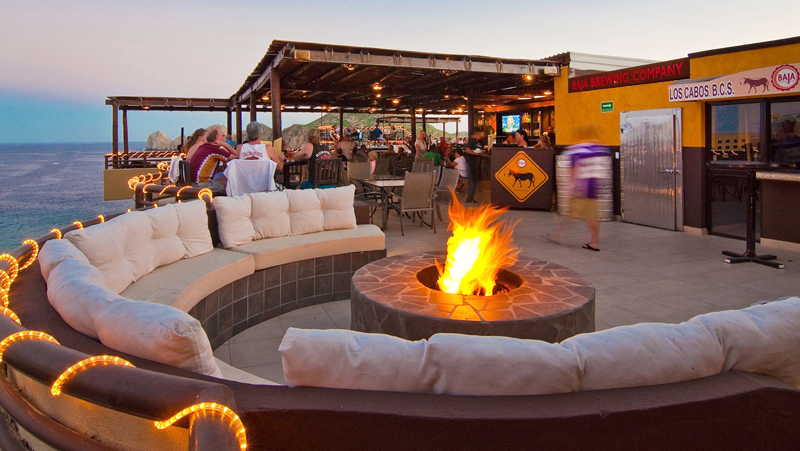 Today, Baja Brewing Co. has three brewpub locations in the Cabo San Lucas area that feature the company’s eight beer offerings as well as a full menu. The flagship beer is a blond ale called Cabotella, a combination of the Spanish words “Cabo,” for “cape or “end,” and “botella,” for “bottle.” It’s light and medium-bodied with a clean finish, the result of over 50 recipe iterations based on customer feedback and aimed at getting it just right. “A lot of people would come into the brewpub expecting Mexican lager and we’d say, ‘Here, try this stout.’ Now we have some of the most loyal fans you can think of,” Gardenhire said. In the years since Baja Brewing Co.’s debut, Baja California’s beer scene has changed drastically. That is to say, it actually has a beer scene now. And it’s thriving.